Do You Wanna Know the Latest News of Super Junior’s Yesung? Here Are the Details and His Full Profile! Who doesn’t know this main vocalist from Super Junior? His angelic voice and face make a sweet impression on people. He is Yesung, the talented 34 years old boy group singer coming from SM Entertainment. Super Junior Yesung’s singing talent had been recognized since he was a teenager. In 1999, he joined a broadcast singing competition at the Cheonan Singing Competition and amazingly won the gold. Realizing her son’s super talent, his mother signed him up to SM Entertainment’s audition Starlight Casting System. Impressed with the art-like voice, the judges decided to offer him a trainee contract under SM Entertainment. Now, Super Junior Yesung has grown up to be a famous celebrity in South Korea. As it goes with most famous people, of course, issues and rumors about his love life and plastic surgery have surfaced about Yesung. 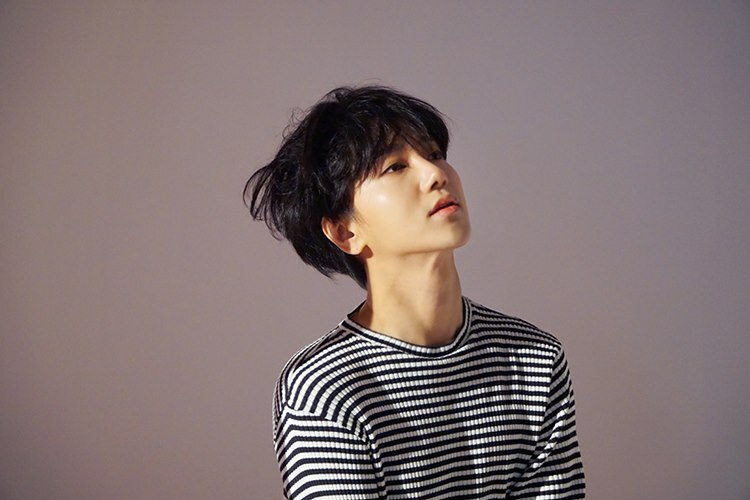 Curious about Super Junior Yesung’s full profile, love life, latest news, and issues? Let’s check this out! The reason why Yesung’s mom changed his name into Kim Jong-hoon was that she thought the name Kim Jong-woon (meaning “thunderstorm cloud”) would bring him bad luck. Yesung has one sibling; a younger brother named Kim Jong-jin. Yesung’s first kiss happened when he was in his 2nd year of High School. Yesung has two cute puppies, Kkoming and Melo. While sleeping, Yesung likes to move from one bed to another bed (in hotel cases) every 20 minutes. He is part of Super Junior’s sub unit group Super Junior-K.R.Y and Super Junior-Happy. Yesung wants to have a business career after retiring from Super Junior. Yesung admitted that he is the icon of bad luck in Super Junior. First, in Super Junior’s first album he didn’t even appear in the music video and his part was covered by the other members. Second, he enlisted in the military in the super wrong time. At the present time, Super Junior Yesung is known to be single. There’s no news about his recent dating activities, or he just cleverly hides it from the public, since he hates to show off his relationships, especially after a fellow member’s statement. He used to date a pretty girl, as reported by a fan’s cafe discussion. Let’s check Super Junior Yesung’s ex-dating story! Super Junior Yesung was known to be close with this girl, Shin Sol-ki (born on January 31, 1986) during his pre-debut days. Many people assumed that she was Yesung’s ex-girlfriend since the two looked very close together. Shin Sol-ki herself is a South Korean model and ulzzang (favorite face in Sout Korea). In 2004 it had been reported that they have broken up and are both focusing on their careers. After making his debut, Yesung had been reported dating So-young, the female idol from After School, and this claim had been backed up by some evidence. According to the fans’ discussion, Yesung and So-young were dating in 2008 and broke up in 2009. 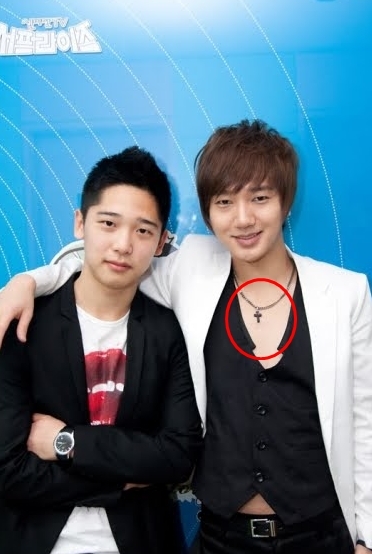 In Super Junior’s “Sorry Sorry” MV, Yesung was seen wearing a cross necklace. The necklace was a gift from So-young! And now, they are known to be very good friends who support each other as colleagues in the entertainment industry. This statement was really shocking to everyone because how can a man like Yesung ever be cheated! Super Junior Heechul jokingly replied, “I think Yesung needs to visit Healing Camp,” causing everyone to burst into laughter.